I told you I would revisit Volcano Japanese Cuisine! This time with my partner in crime and we did some serious damage. We arrived on a Friday evening so there was a noticeable crowd. It wasn't overly busy, but a very good ambient for a dinner. 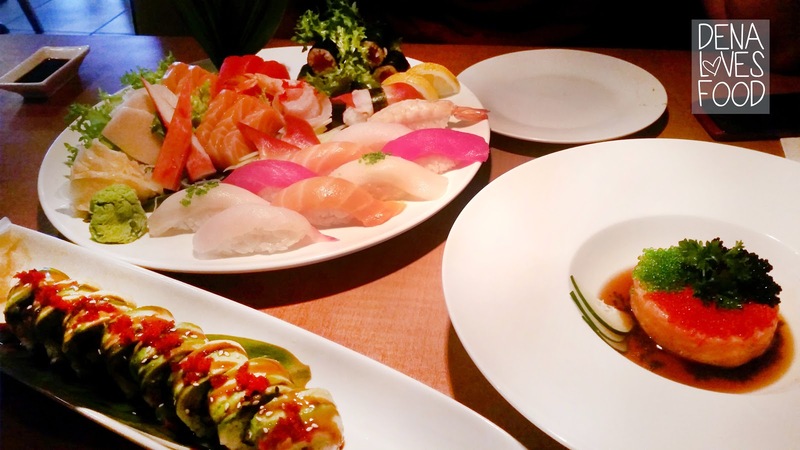 We selected a couple of appetizers and the Sushi Sashimi for two (which only came with 1 selection of miso or salad, which is weird because it is a dinner for two..). The miso isn't bad, but was somewhat watered down. It's an average bowl of soup to me. 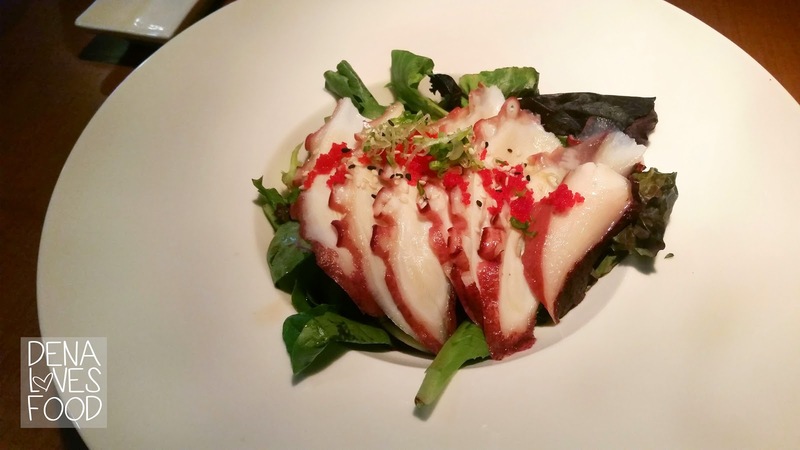 The Tako Su (thinly sliced octopus on a bed of greens) was something I was so-so with. My partner said he enjoyed it, but to me the sauce was something I couldn't love. It was bitter and tangy. Though, I love myself some octopus and think the slices of octopus was nicely prepared. I think if the sauce was different I would like it more, perhaps a sweet lemon citrus sauce or wasabi ponzu? The other appetizer I selected was the Salmon Tartare. 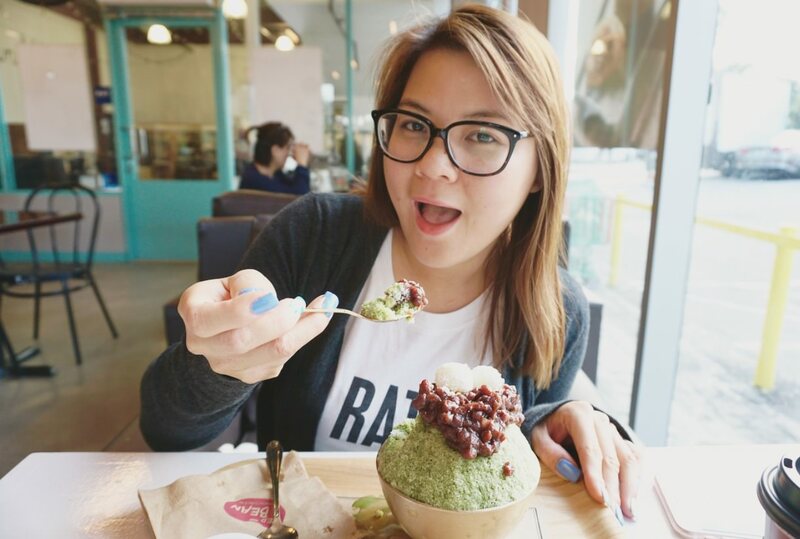 I always try my best to try all the tartare I encounter so I was really excited to have some. 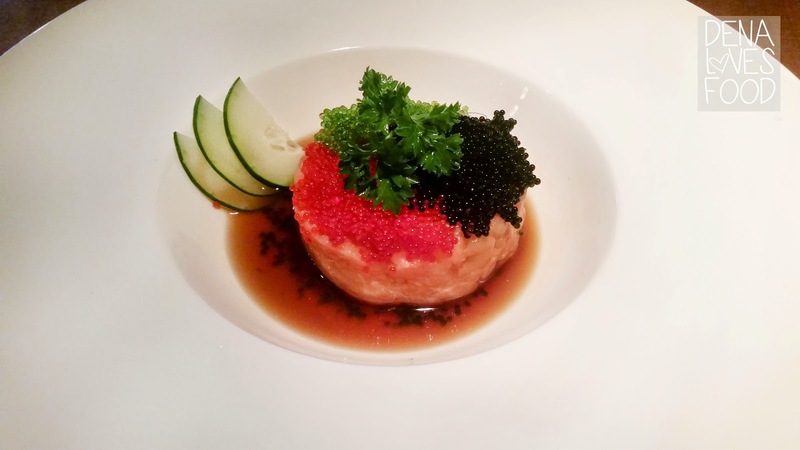 It's presented in a very simple dish layered on top are 3 types of tobiko roe. I would be lying if I said I was satisfied with this dish. I was really disappointed because it was just mushy. I know tartare can come either in an almost grated texture to a chopped up consistency, but this reminded me of cat food. The flavor itself wasn't bad but since there was no texture differences in the dish besides the tobiko it was really difficult to enjoy it. 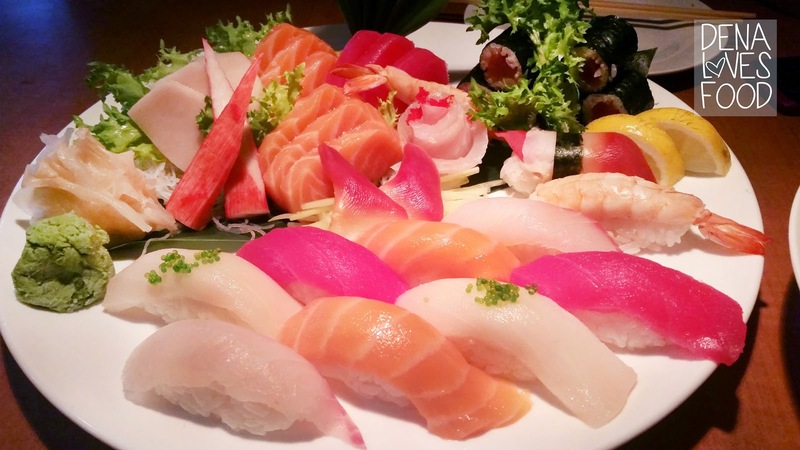 On to the main course, we selected the Sushi Sashimi for Two, which came with a selection of nigiri, sashimi, tuna roll and also a dragon roll. I think it's a really great deal because you can have all your basic fish down plus two rolls. There was a big difference of quality in the fish when I had it for dinner compared to a few weeks ago when I ordered to go for lunch. The dragon roll that came with this meal was good, but not something I would order again. I love eel and avocado and would eat it for days but unfortunately this roll didn't sell it for me. Maybe I have been spoiled with dragon rolls (some would have tempura shrimp inside layered with eel and avocado, or similar to that). 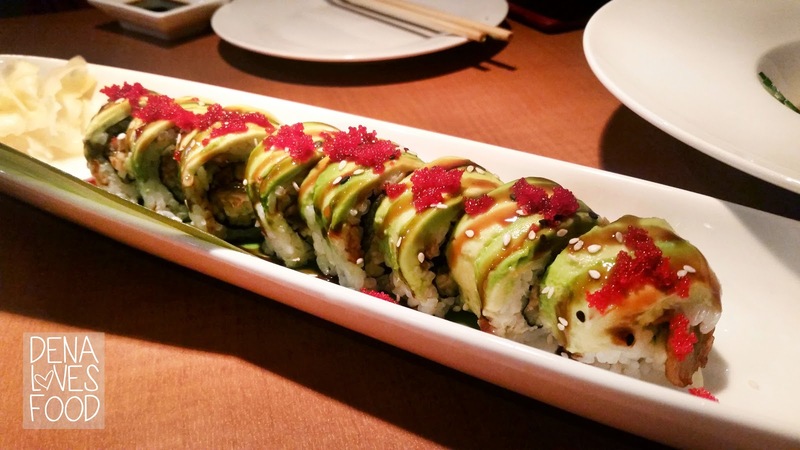 The dragon roll here is just rolled with some eel and then layered in avocado and topped with roe. Not a wow factor because of the missing crunch. Overall I think it's actually a really nice place to grab sushi from. The plaza is always bustling with customers. It's a clean and bright building with a nice selection of restaurants to eat at. I believe there was or (still) another Japanese Sushi restaurant in the plaza too. The service itself is very innocent to me. The girls are sweet, but because of the language differences or perhaps not very well knowledgeable in sushi she seems to stumble whenever she helps me. Personally I don't think it would be a restaurant that I would think right away when I want good sushi but it definitely is convenient because it's right down the road from me. I can see great success with this little shop so definitely give them a try! Oh and we got a complimentary treat after our dinner. I think it's a big plus because it's something really unique about this restaurant and you can see the honest effort they put in. 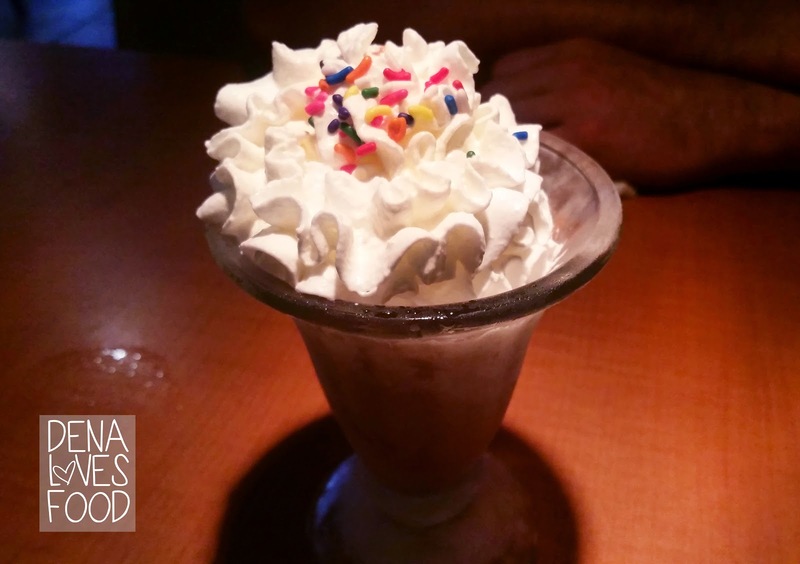 I believe it was a mocha ice cream topped with whipped cream and sprinkles!